.NET Development Addict – Home is where the [.net] compiler is. I was lurking on the Xamarin forums and I came across a question regarding the event-only design of the SkiaSharp SKCanvasView. The SKCanvasView has a PaintSurface event that allows you to draw on the view with SkiaSharp commands. This will work as everything is pretty much straight-forward. However, what happens if the canvas is in a ListView or if there are several canvases on the page? We would end up with a messy code-behind and probably a few memory leaks. Behaviors lets you add functionality to user interface controls without having to subclass them. Behaviors are written in code and added to controls in XAML or code. That’s it! Our canvas is now command-based and can be drawn on from the view model. Besides those examples, be sure to read more about behaviors, and what they can do, in the Xamarin documentation. I think of myself as a somewhat decent coder, and I decided to solve this problem – at least some part of it. The easiest, and quickest, way to add multi-select capabilities to a ListView requires two steps: the “selectable” item and the “select” action. We now have a nice generic type for the developer (us) and a non-generic type for the event (the machine). This is all we need, and we will have a ListView that that can support multiple items being selected. We could call it a day, but we are not going to. The day has just started, and we are thinking that we might want to use this in multiple places. We can just copy the logic – mainly the event and cell view, but there are better ways (and we don’t like duplicate code). That looks nicer than the event, and we have a couple of benefits: no code in the page, the event code is written once and the property is bindable. We now have a super easy way to turn any list into a multi-select list with a single property. I hope you enjoyed this short(ish) post and are able to make your list views handle the selection of multiple items. Xamarin.Forms is really cool! It allows you to almost write your app once and then compile for many platforms. With Xamarin.Forms, you can quickly produce multiple apps, but, you can also take advantage of some awesome features – such as cross-platform UIs in XAML, data binding, sharing code and much more. Xamarin.iOS, Xamarin.Android and UWP are also fantastic! You can get 100% of the platform APIs and you can produce apps that are super fast and polished. But… why not have both? Recently Xamarin/Microsoft shared on the blog that Xamarin.Forms can be embedded into native apps. This means that you can take your existing (or new) native app and just drop in a Xamarin.Forms page without doing anything special. You lose nothing, and gain a whole lot more. You can still use XAML, data binding, converters, effects and everything else that comes with Xamarin.Forms – but now from within you native app code and UI. I have a nice sample app that you can pull from GitHub. Be sure to check it out and let me know what you think of this new functionality. I will try and keep that repository up to date with any new developments. Then, you want to install the 3.0.0.100-embeddingpreview NuGet into any Xamarin.Forms projects as well as into the native app projects. That is it! Now you should be able to create your shared page. If you have any questions or comments you can do this using the Xamarin discussion (Preview: Xamarin.Forms Embedding) on the forums. It is important to note that this is a pre-release and functionality may change with subsequent releases. Let’s take an example of an existing app that you want to add the ability to register and/or login to save user preferences on some cloud service – such as Azure. Your app is out and in the wild, users are loving it, and, you have just received feedback that they want to login across devices and keep their preferences. What do you do? Well you could create a few screens for each platform and then share some code. But, as all the login screens are going to look the same and work the same, why not do everything in shared XAML? So, the first thing we can do is to either create a shared project, a .NET Standard library or even a PCL. We then just need to install the pre-release Xamarin.Forms NuGet. Finally, we can go ahead an add a new XAML page. Just right-click and do “Add” > “New Item…” > “Content Page (XAML)” and then you have a new page. That is basically all we need to do in order to create our UI. The JsonPlaceholderApi type just makes use of http://jsonplaceholder.typicode.com to get some random data, the User type is just a simple POCO object and the converters are basic IValueConverter implementations. Once we have created our shared Xamarin.Forms page, we can just instantiate out Xamarin.Forms page and then ask for the native version. On Android, the CreateFragment extension method will return a native Android Fragment, which we can then use as we would any other fragment. On iOS, we use the CreateViewController extension method and we will get out a native UIViewController that, again, we can use as we would any other view controller. And finally, on Windows, we use the CreateFrameworkElement extension method to get out a native FrameworkElement that we can also uses as any other element. Now that we have the native view, we can just go ahead and use it as if it was created using the traditional mechanisms. In this fairly long post, we looked at how to quickly embed a Xamarin.Forms page into an existing native app. The process is easy and painless, and will only get better. You can download the full code from my GitHub repository and try it out for yourself. And maybe have a look at your app and see if some of those screens that are exactly the same could use Xamarin.Forms. This NuGet is no longer required to get nice parameter names in the binding. With the release of Cycle 8, Xamarin has provided a way to use the class-parse tool that comes with the Xamarin release. A MSBuild Task to make Xamarin.Android binding projects easier. Currently, there is no nice way to set the parameter names for methods when binding Xamarin.Android libraries. This tiny little NuGet adds a .targets file to the Xamarin.Android Binding project. The .targets file adds a MSBuild task which will then read the jar elements and automatically generate the transform files needed to set the parameter names for all the bound methods. You can view the project source for this on GitHub. Then, rebuild! That is all! I have created a better page for these events. Although the content of this new page is almost identical to this page, It looks way better. Be sure to check it out here and share to with your South African family/friends/colleagues/developers. Every month, three cities across South Africa have User Groups for anyone interested in Xamarin. These events range from hands-on development to interesting talks related to Xamarin development. As I stay in Cape Town, I always attend this User Group. We often discuss a wide variety of Xamarin-related topics. Fairly often, I will come and visit this user group to say hi, and maybe present. Although I am not always there, the presenters / organizers are very good. This user group has just started up, but I know Xamarin developers. We are a great bunch, so come along and see what is happening. In the Xamarin 4 announcement, there were hundreds of improvements, but some of the most exciting points for indie devs included free access to UITest and Xamarin Insights. I noticed especially well-received comments during my presentation at the Gauteng Xamarin User Group. Typically South African indie devs complained about high prices, especially due to the exchange rate being very unfavourable. And this is not just for South Africans; Indie devs don’t usually have large amounts of money to throw at Unit Testing frameworks. They might just grab the best free tool out there. And now, Xamarin has become that “best” and “free” tool. I think Xamarin.UITest is the best automated UI testing framework currently available. It takes two tried-and-tested frameworks: NUnit and Calabash and merges them to create a excellent C# API for controlling mobile apps. Not only does UITest make testing easier, we can also test on both devices and simulators at no additional cost. No extra configuration is needed either. When the project is compiled, the test appear in the IDE’s Unit Test panel. From there, the tests can be run as any other unit test. I installed the NUnit Test Adapter for Visual Studio as this IDE can’t run NUnit tests natively. Using UITest is very easy, and just requires that the interaction is described using C# code. The actual flow of the code is the same as if you had actually performed the actions on the device. Lets take an example test case – making sure a credit card number is valid. We would first want to make sure that the text field is clear before entering the number. Then, after the keyboard is hidden, we want to start the validation. Finally, we need to ensure that the error message appears. In this test, failure comes if the error message does not appear at all, or if the screen changes. Xamarin recently announced the Xamarin Test Recorder, a preview tool that makes writing mobile UI tests even easier. Instead of writing this test by hand from scratch, we can make use of the recorder to interact with the app. While we do this, the recorder writes out the steps in C# code. We can then take this code and add it to our test project. Although the recorder is not perfect yet, we can still use the code and just tweak it a bit. I found that sometimes the recorder wasn’t able to pick up when I had tapped on switches or sliders, but this can be changed. If the element has an ID, then we can swap out the code that tries to find the element by UI index with code that finds the element by ID. With the announcement of Xamarin 4, there were hundreds of changes, new features and improvement. 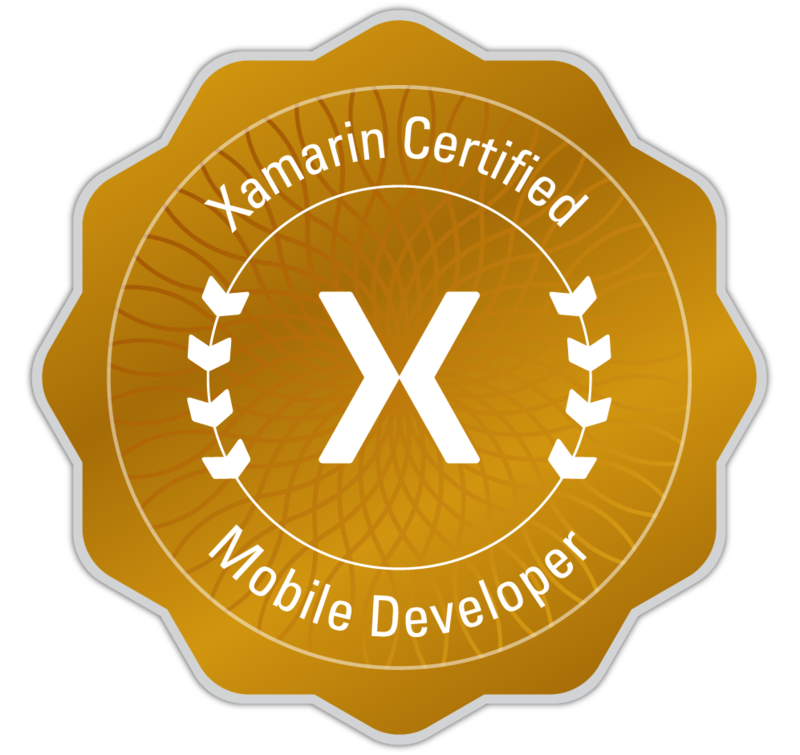 Xamarin included major and minor changes to all phases of the lifecycle of a mobile app. I thought I would re-share some of the features, just in case you missed some 🙂 But, during my presentation at the Gauteng Xamarin User Group, I saw some areas that were especially interesting to South Africa developers. Faster, more reliable, and more functional. Pre-compiled XAML. Support for UWP, iOS 9 and Android Material Design. New gestures. Rebuilt the Visual Studio extension from the ground up. Multiple concurrent Visual Studio instances. Incorporated large portions from Microsoft’s open sourced .NET codebase. iOS designer can load XIB files. Android designer supports Android Material Design. Improved UI and UX for both designers. Improved parsing of header files. New attributes for Objective-C equivalents. Support for generating bindings from a CocoaPod. New capabilities for advanced test scenarios. Free for everyone to use. No limits on test duration. No limits on the use of local devices and simulators. Free crash reporting for all Xamarin Platform customers. 30 days data retention. Xamarin Insights with 30 day data retention. 60 Xamarin Test Cloud device minutes per month. A 30-day trial pass to Xamarin University. Read the official announcement by Xamarin. This has been a great year so far, I have released multiple new components on the Xamarin Component Store, committed thousands of lines of code into various repositories, and, finally had my book published! It has been a long time coming, originally scheduled for about 6 months, but working full time had forced me to go a bit slower. So after 12 months of work, Packt Publishing, made my book, “Xamarin Mobile Development for Android Cookbook”, available to the world. In September last year, they contacted me about authoring a book focused on more advanced concepts when developing Android apps using the Xamarin platform. I cover concepts ranging from using basic UI elements, to managing view states. I also show how one can make use of Bluetooth and NFC communication. Included in the topics are some that cover modern app development, such as making use of the Android support libraries to create modern apps that run on almost all versions of Android. I won’t lie and say that the book was easy; writing is pretty hard. Once the topic is decided and the code ready, the actual readable text takes a bit of work. I feel that I was able to bring each recipe across in an easy-to-consume manner without compromising on the actual content. This is a lot of work in that it is sometimes hard to write a technical document without knowing the knowledge level of the reader. All in all, I quite enjoyed writing, even if it meant very late nights. If I was to write another book, well, it might be some time in the future. I hope that my book sells well, not because of money, but it is an accomplishment. How many people can say they have written a book, and how many of those can say they wrote a good book. If this book sells well, then I would have achieved one of my life goals. After I first found out about software development when I was 9 years old, I wanted to become a programmer. After the release of Windows, I wanted to be the new Bill Gates. I don’t think I’ll ever get to that level of awesomeness, but I can go for the other things. One of those things is to provide developers with tools that they can use to create the best that can be created. When I started developing professionally, my projects were ASP.NET websites and Desktop applications. This is great, but typically those apps were company apps and only used during work hours. Mobile apps have always been a passion of mine in that they travel with the user. I have always liked being a back end developer as this is often the area where the “cool” work is done. The UI is great, don’t get me wrong, but almost all of them talk to some library or service. During my years of development, I really grew to love my work more and more. This love grew into something that I want to share with the world. It started off by helping by brother do a bit of development. He now has built several games using many of the game creation tools. One of the coolest, and most cross-platform, is Scirra’s Construct 2. Recently, he has started using Unity 3D. Another way I shared my love for development is though my code. I have several repositories on GitHub, which I try and update. I also use this account to update repositories in the community. Sometimes there is that awesome library, but just doesn’t have that feature… For example, there is this tiny library, NLipsum, that allows you to generate a chunk of lorerm ipsum. Although technically not very useful, it is often the simplest way to populate text fields. This library required no changes, but could only be used with desktop .NET platforms. In the age of mobile development, I was able to add a new project that created a Portable Class Library, which can be used everywhere. This is not a headlines-worthy change, but NLipsum is now more cross-platform than ever before. Writing a book was just another way to share my knowledge and love of development with the world. I hope my book helps both the new guy on the block as well as the other guy that never got around to using In-App billing in his popular Android app. As a result, I am not going to tell you to buy my book… If you want to check it out, or use it to get started with Xamarin.Android apps, you can order it in both an ebook and/or print from Packt Publishing for $32.